The great geoengineering projects have failed. The world is still warming, sea levels are still rising, and the Antarctic Peninsula is home to Earth’s newest nation, with life quickened by ecopoets spreading across valleys and fjords exposed by the retreat of the ice. Austral Morales Ferrado, a child of the last generation of ecopoets, is a husky: an edited person adapted to the unforgiving climate of the far south, feared and despised by most of its population. She’s been a convict, a corrections officer in a labour camp, and consort to a criminal, and now, out of desperation, she has committed the kidnapping of the century. I absolutely love this one. 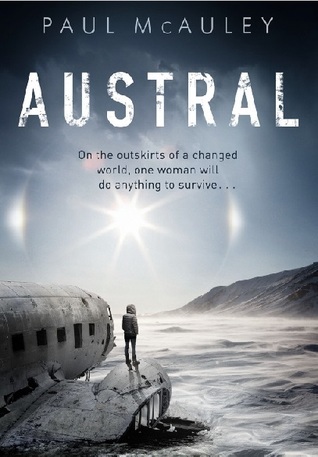 This first-person narrative by Austral grabbed me from the first page and wouldn’t let me go until the end. 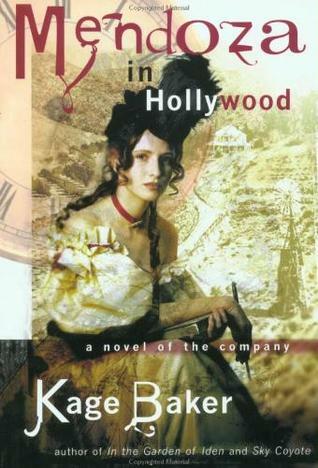 It very quickly becomes apparent that Austral is telling this story for the benefit of someone who she feels needs to know her family history, which is woven into this classic chase across the harsh peninsula as Austral and her kidnap victim try to stay one step ahead of those in pursuit – who aren’t necessarily the forces of law and order. There is all the excitement and tension of their adventure as they encounter a number of memorable characters, some kind and helpful but most are nothing of the sort. This is a hard new land peopled by many refugees from a drowning world, which doesn’t engender soft fluffy feelings. I was waiting for the inevitable moment when the two fleeing finally bond – the huskie outcast and the rich, privileged child of a rising politician. But McAuley avoids that cliché. There is never a time when Austral can relax and feel her young companion will innately trust her. Meanwhile, Austral’s unfolding story is one of abandonment of the promises made to keep Antarctica ecologically sustainable as once again, the vested interests of multi-nationals and capitalism trumps all else. The sub-species of huskies, whose DNA were edited to equip them for living and working on the land, are now no longer required for that prime purpose. Nor are they wanted by the normals, who fear their size, superior strength and stamina, so ensure the law enforces their instinctive reaction to keep them as far away as possible. The other character that features throughout is the landscape itself. McAuley’s scientific background shows in the depth and detail of this harsh environment. I love the fact that mammoths have been brought back as a viable eco-system has started to be designed – until forest plantations swallow up the fragile landscape and inappropriate crops are grown to appease the appetites of a people with no appreciation or real knowledge of how this emerging landmass is being eco-engineered. It all sounds horribly familiar. Any niggles? While I felt that Austral’s storyline about her own family history worked very well alongside the ongoing adventure, the one ongoing narrative thread I could have happily done without was the fairy story Austral’s young teenage companion was reading. It was the one part of the story that didn’t really convince me, both as something that would interest Austral, or its relevance to the other two plotlines and to be honest, I mostly skimmed over those sections. However that aside, this story has lodged inside my head since I’ve read it and notwithstanding that one false step, this is an extraordinary book. Highly recommended for fans who like hard science fiction and cli-fi (climate fiction). While I obtained the arc of Austral from the publisher via NetGalley, this has in no way influenced my unbiased review. This meme was started by Books by Proxy, whose fabulous idea was to compare UK and US book covers and decide which is the one we prefer. 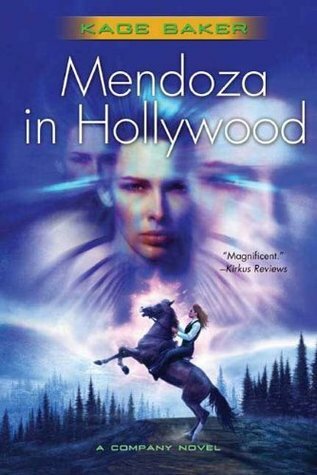 This week the theme is purple covers, so I’ve chosen Mendoza in Hollywood – Book 3 of The Company novels by Kage Baker, which happens to be one of my favourite books of all time. This cover produced by Tor Books in April 2007 is the purple one and is definitely my favourite. Although I’m a tad allergic to having such a strong protagonist featured on the cover as my mental picture isn’t anything like this, I’ll forgive that as all the other main elements of the book are reasonably accurately represented here. I particularly like the depiction of the unspoilt countryside before Hollywood becomes established and so many plants are lost. 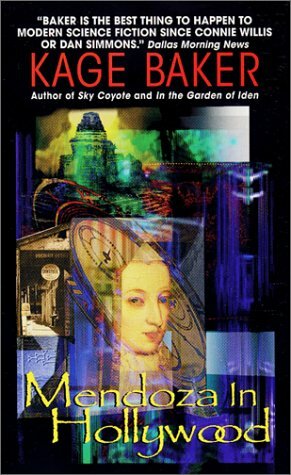 This offering was produced by Tor Books in May 2006 and is another strong contender. I do prefer this version of Mendoza, who I think did dress up as a saloon girl in some of their evening entertainments, if my memory serves me well. This earlier edition, produced by Eos in July 2001, is where it all starts to go wrong. While the artwork and overall design is subtle and detailed with lots of allusions to the content, the whole effect is ruined when some bright spark decides to write the equivalent of chapter one across the top of the cover in white against the black background. Immediately this is where our gaze is drawn to, rather than the clever design. 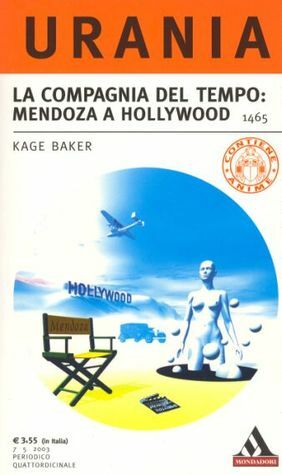 Produced in March 2003 by Mondadori, this Italian edition is clearly going for a retro look harking back to the science fiction covers of the 1960s and 70s. I think it’s a shame the design only covers a relatively small circle in the middle of the white expanse, given the quirky subject matter and once again, the cover design is blighted by that ugly block splatted across the top. What about you – which is your favourite?